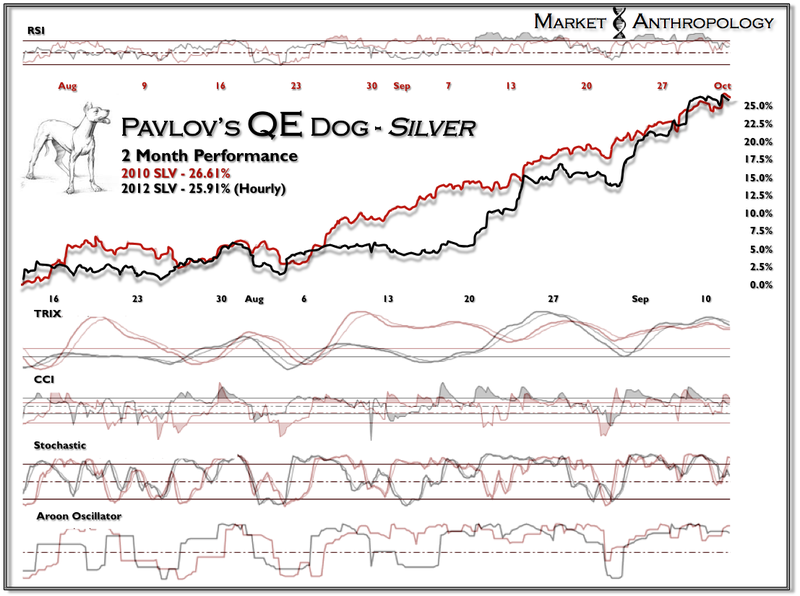 Here is an interesting performance chart of silver's ETF (SLV) over the past 2 months from its July low. 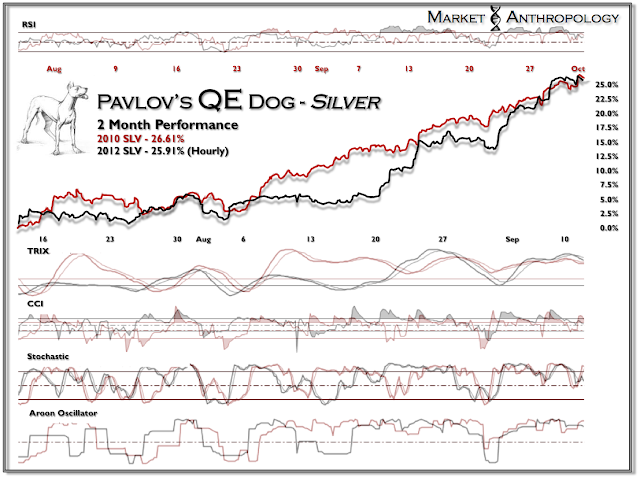 It has been overlaid on the comparative period (2 month chart from the summer low) in 2010 before QE2 was formally enacted. 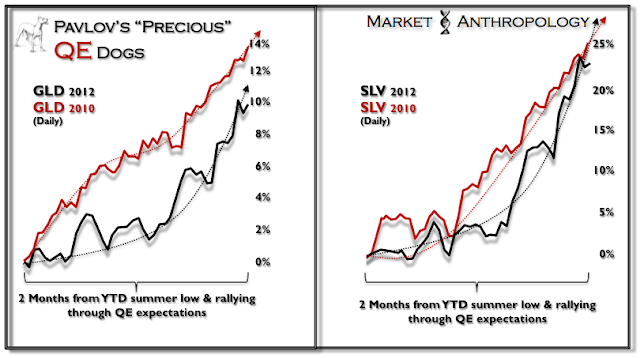 I will be adding additional charts through the week as to why although they have performed extremely closely across the build in market expectations, their respective outcomes - six months out, will likely be worlds apart.